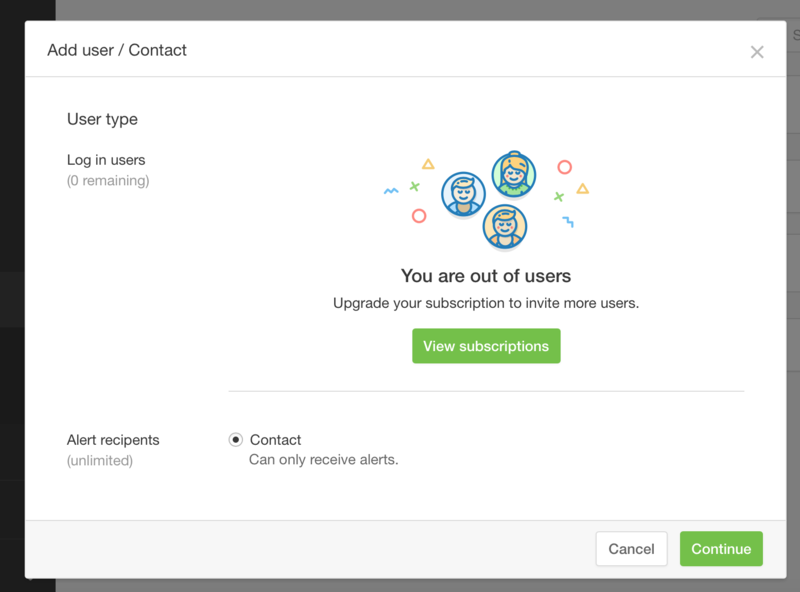 Once you enable 3rd party monitoring in a service copy the email address of the service and head to your Pingdom dashboard, click on "Users and Teams" and then "Users". Make sure "Contact (Can only receive alerts)" is checked and click "continue". Add a descriptive name for the contact like "Statuspal > [ServiceName] Service", paste the email address and click "add user". Then go to your check to add the new contact (Experience Monitoring > Uptime > Click on the check). Look for the "Who to alert" section and check the newly created contact and click "Modify check". After that whenever the check fails it should cause an incident to be created automatically in your status page with the chosen service in it, it should also get closed automatically when the check passes again (your service comes back up).